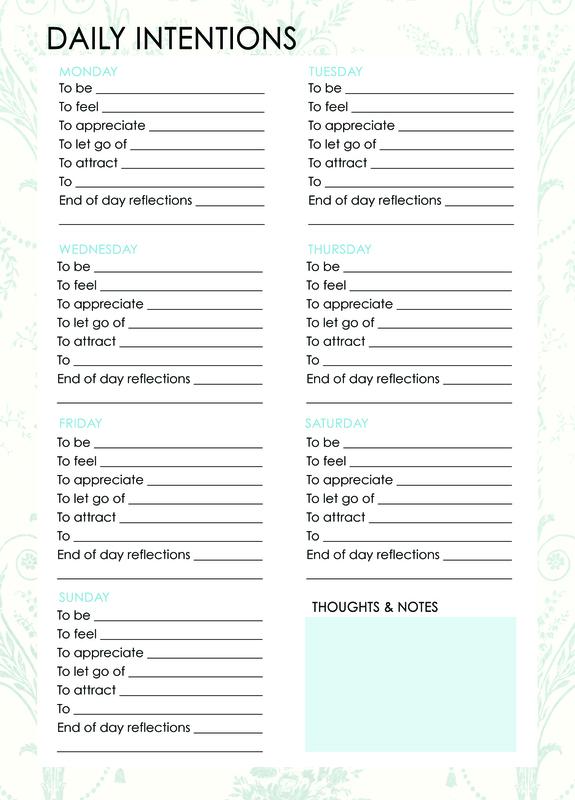 Set your intentions daily for the next four weeks with these daily intention cards! Each package includes 4 "Weekly" intention cards that outlines the intentions for each day of the week. Similar to a GPS system, intentions can buffer some of life's detours and keep us aligned on our unique paths. It's fuel to the realization of your visions, goals, and dreams. There are multiple prompts on the cards to help you think about how you wish to shape your day, but the essence is to simply remember how you intent to feel today. Allow yourself to carry out each choice and action according to the way you want the day to go.